Designed for bass players who want tone and power in a small, lightweight package, the TC Electronic BQ250 is an amplifier head capable of pushing 250W into 4-Ohm cabinets. The amplifier utilizes Class-D technology as well as a high-voltage MOSFET preamplifier to give you the sound of a tube amplifier. 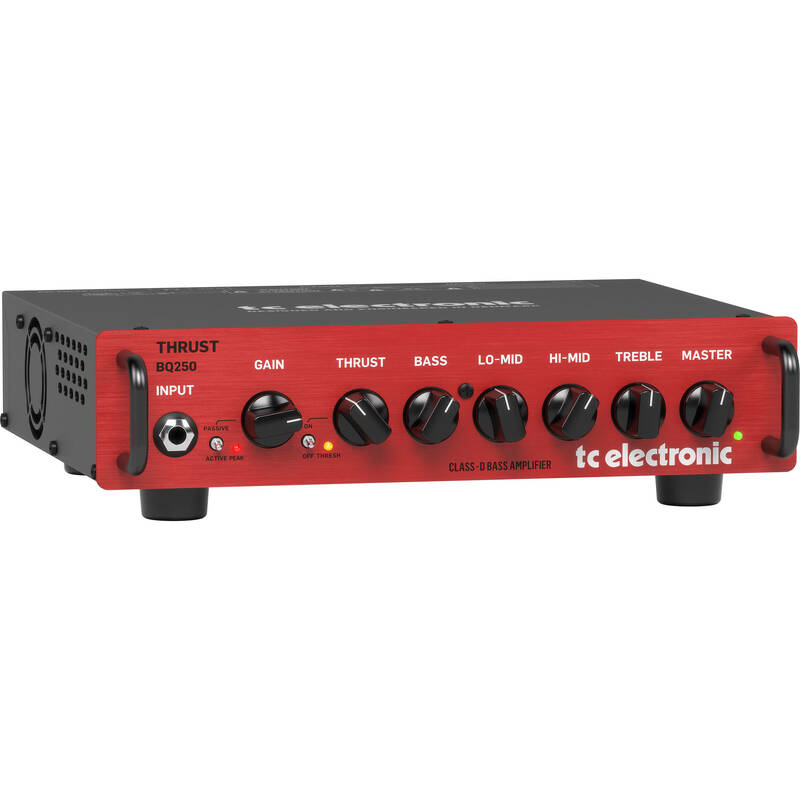 A built-in thrust compressor helps you play evenly, and a 4-knob tonestack helps you shape your tone. The amp works with both active and passive basses.